The UK government has renewed its support for the pensions dashboard as Work and Pensions Secretary Esther McVey said the project will help people make sense of their pensions and plan ahead for the future. However, the industry, and the not government, will be put in charge of the project. The announcement comes a couple of months after reports suggested McVey had moved to “kill off the project” and an online petition attracted more than 100,000 signatures urging the government not to scrap the plan. The pensions dashboard will work as a online hub allowing savers to view all their pension savings in one place. “The pensions landscape is transforming and the dashboard offers a great opportunity to give people straightforward access to their pension information in a clear and simple format – bringing together an individual’s savings in a single place online. “It’s clear there is broad support for the concept of a dashboard and its potential to empower those putting money away for their futures”, McVey (pictured) said. “By taking a leading role, and harnessing their knowledge, industry can develop a dashboard that works for pensions holders – and government will help facilitate this,” she added. However, the renewed backing was met with scepticism as the government’s decision to let the industry take lead on the pensions dashboard, without a commitment to force providers to submit client data, could mean that the project will ultimately fail. Laura Suter, personal finance analyst at AJ Bell, said: “The government’s statement on the pension dashboard is hardly a huge vote of confidence for the initiative. “It hasn’t walked away from the project completely but it has acknowledged the size and the complexity of the challenge and laid responsibility for delivery firmly at the door of the industry. “A dashboard with full government backing will have more chance of success, so it will be intriguing to see the findings from its feasibility study when they are published soon. “An incomplete pension dashboard is not going to be of use to anyone so it is important the government commits to ensuring the state pension is included and uses its powers to ensure a critical mass of pension schemes sign-up to the initiative so that it delivers meaningful benefits to pension savers,” she added. Jon Greer, head of retirement policy at Quilter, said: “This project has been moving at a sloth’s pace and it is good that finally the public is being granted some confidence that the project, which looked set for the chopping block, still has some life in it. “However, the government’s statement is vague. We remain in murky water when it comes to what the dashboard will actually look like, whether one or multiple dashboards, and what the government actually means when they say they will ‘facilitate it’. More clarity is needed and we await the feasibility study, which the minister suggests is imminent. 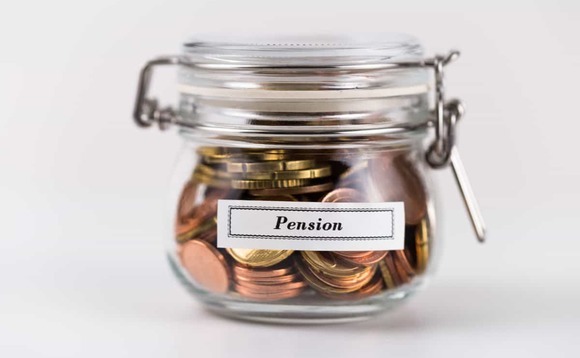 Verona Kenny, head of intermediary at Seven Investment Management (7IM), added: “With the decision to hand the pensions dashboard over to the industry, we hope the industry can make this work. “The proof will be in the feasibility study and there is still much to hope for. State pension data will be crucial, and that will be in the hands of Government. The jury, for us, is still out on how quickly the financial services industry can rise to ‘the best of industry innovation’ – whilst technology is an area we have invested heavily in, we still see little widespread digital engagement across the industry. Steve Webb, director of policy at Royal London, said: “There is much that the industry can do to deliver a dashboard, but only the government can supply vitally important state pension data and only the government can legislate to make sure the dashboard’s coverage is comprehensive. Backed by this renewed commitment by the government, the whole pension industry now needs to work together to drive forward this much-needed initiative”. Guy Opperman, minister for pensions and financial inclusion, added the government will continue to engage with industry, pledging it will “protect pension savers and personal information by legislating where necessary”.